Kahuak - Mendoza Hotels. Lodging in Mendoza. Lodging in Inns and Wineries. Mountain Lodging. Mendoza. The Mendoza Inn Youth Hostel is where you go to have a comfortable stay in a fun place, a quality environment and at an affordable price. 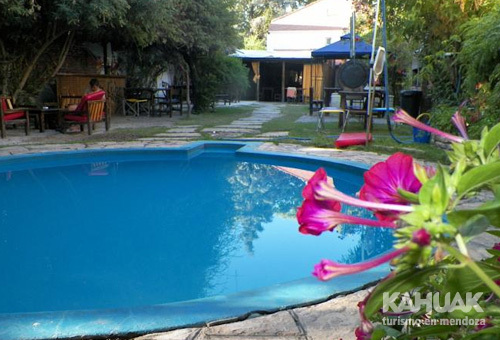 The hostel is located on Ar�stidez Villanueva street in the city � a street full of bars, clubs, restaurants and all the fun movement of Mendoza. The hostel provides the perfect environment to meet and share experiences with other travelers exploring Mendoza together through wine tours, bike rides, rafting and/or horseback excursions.